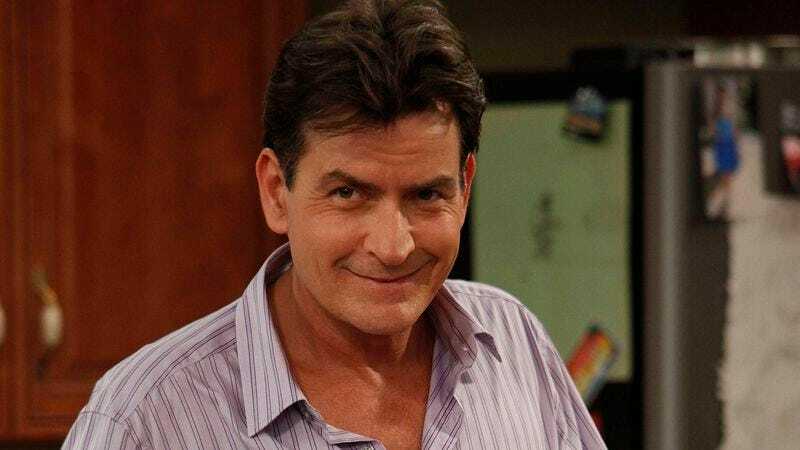 In news that no one who would dare make logical assumptions could have seen coming, incorrigible goof-off Charlie Sheen has decided not to go to work on his television show Anger Management, which was given to him as a reward for not going to work on his previous television show. The Hollywood Reporter offers us all this fun flashback to 2011, publishing an anonymously sourced set report claiming Sheen has by now missed several days of work, seriously delayed shoots, and angered his fellow cast members—all of whom certainly didn’t sign on to a show starring Charlie Sheen expecting this. Reps for Sheen—who previously skipped work until it made him extremely famous, a strategy that’s still yet to succeed for you or anyone else—are already denying the reports, saying no work was missed and that Sheen “looks forward to returning on Monday.” Still, THR and the persona that Charlie Sheen has honed, until it became the basis of the very series he’s accused of neglecting, suggest otherwise. THR even claims that some of the unnamed cast, who have definitely learned better than to complain publicly, are even threatening to walk. That could prove a real hindrance to their completing the contractually mandated 100 episodes that shall free them all. In the meantime, the show’s reportedly been grinding its way through the remaining third by shooting some of Sheen’s scenes with a stand-in, rather than the man who’s paid far more to pretend like he’s actually there. As of now, Sheen has yet to say anything worth putting on a T-shirt about these latest alleged absences. It’s also unknown which network might give him a new TV show as a reward for not finishing this one.